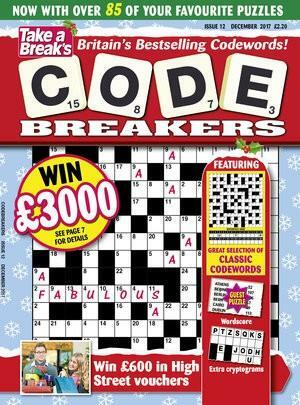 Codebreakers are addictive puzzles where every letter in a normal crossword has been replaced by a number from 1 to 26. Your task is to crack the code, work out the words and solve the puzzle. Codebreakers are loved by both young and old; it is great brain-teasing fun!